YouTube - Jay shows us a four year old reticulated python a on a clutch of eggs and the size difference between her and another female that was fed more but has never laid eggs. 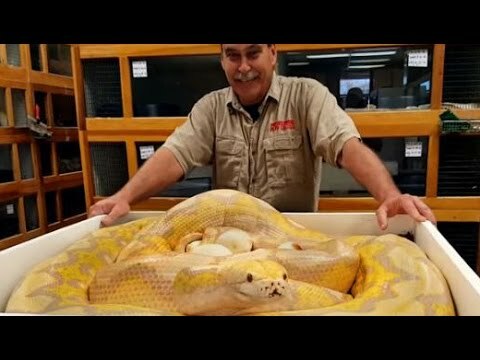 YouTube - Tim shows off a big reticulated python female at Prehistoric Pets that laid a huge clutch of eggs. Prehistoric Pets: Is She Mean? 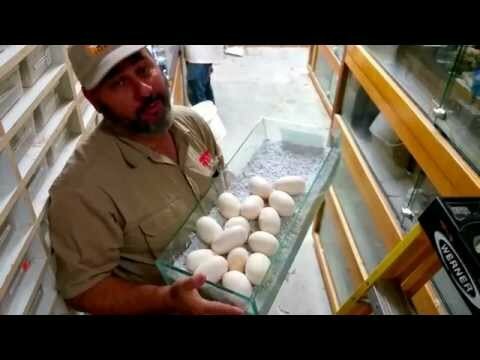 YouTube - Jay collects a clutch of eggs from a protective reticulated python mother and shows us the difference between fertile eggs and slugs. 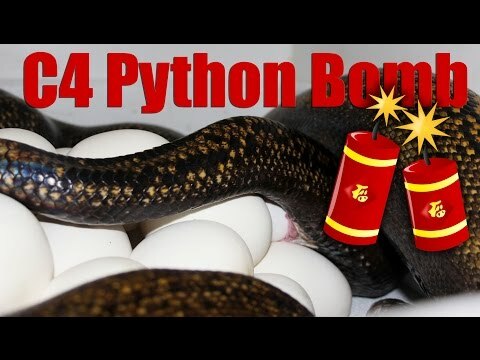 YouTube - Jay and the crew collect eggs from a feisty sunfire motley reticulated python that laid her clutch late at night. 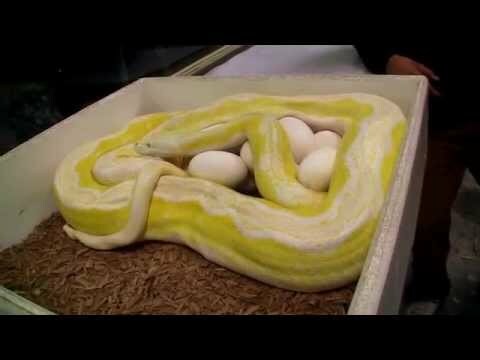 YouTube - Jay collects a clutch of reticulated python eggs from a very defensive female.